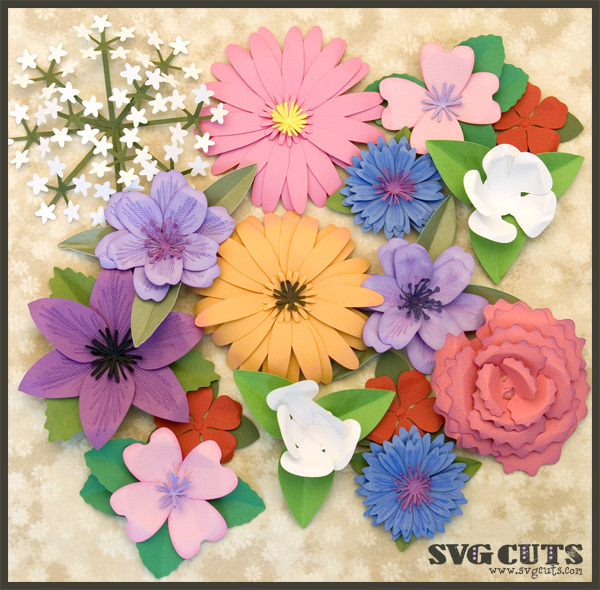 The 3D Flowers SVG Kit Part II has been updated! The updates include optimized shapes (they'll cut even better and smoother with your favorite cutting machine). This update also "fixes" an issue where some users had to zoom out to see the shapes in their cutting machine software. The PDF Menu document that's included in the download has been completely updated. 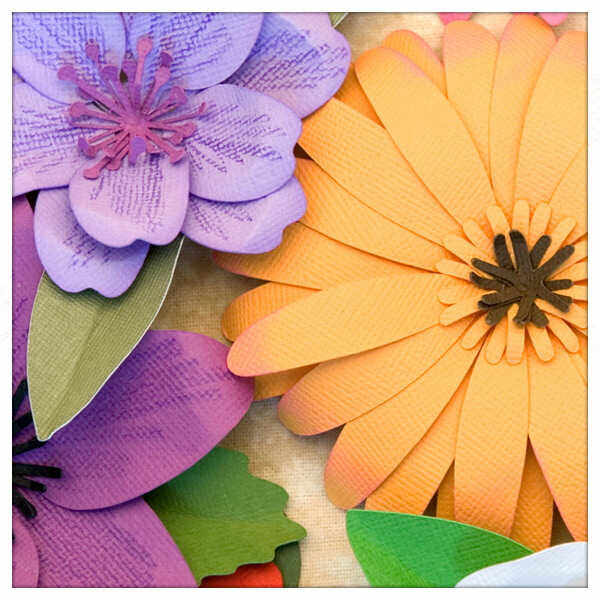 This Kit now includes each flower saved as a single file, which makes re-sizing a breeze. 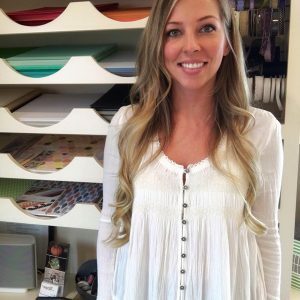 This is also easier to upload/insert into some cutting machine software, such as the Cricut Design Space software. What will you do with yours? Cut yours out in a snap and follow along with me to make each one step-by-step. These were some of my very first YouTube videos, so it's a trip down memory lane! Back then, YouTube limited the length of videos, so it had to be broken into three parts. 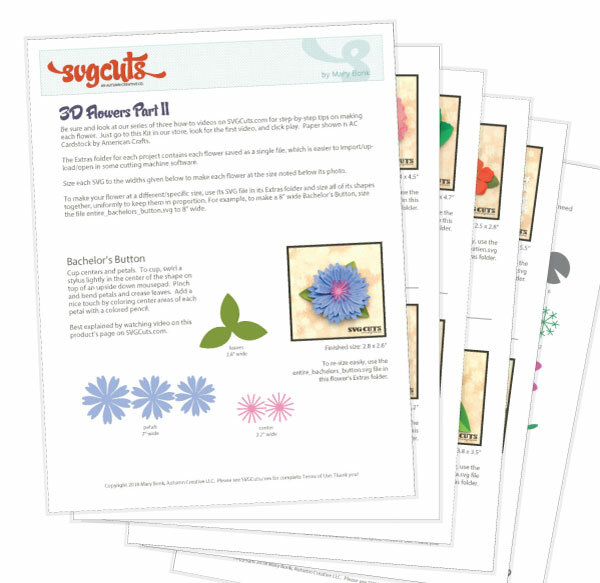 If you're already the proud owner of the 3D Flowers SVG Kit, simply Contact Us with your Order Number to receive your updated copy! If you've saved your Order Confirmation e-mails from us, searching your e-mail for "3D Flowers Part II" and "SVGCuts" may be the easiest way to locate your order number.